* COMPACT SIZE - Go-anywhere size and 6 ft professional cord, ideal for even the smallest spaces. * NON-STICK/ZERO-MESS - Non-stick well holds up to 4oz containers of wax, sugar, paraffin or loose wax. 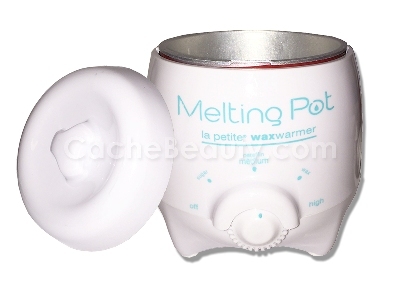 * CONTROLLED HEAT - Variable temperature settings, with thermal controls, keeps wax at the perfect temperature. * PREMIUM FEATURES - Slide-lock lid and built-in safety light offers first class features at an affordable price. * SAFE & SECURE - Electrical Testing Laboratory (ETL) certification ensures electrical safety.